Porsche focused so much on reducing oversteer that actually at some point there was slightly too much understeer at high performance level with their gt cars at later point. Finally midengine solved that issue. Stubborn Germans.. The low 8:00s on the Nordschleiffe is pretty darn good for a car fro. 1987. 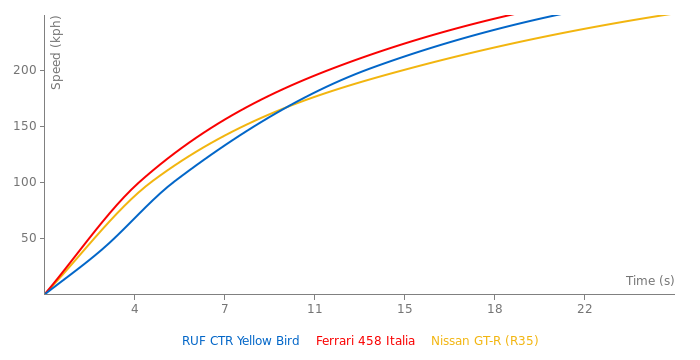 8:05 couldn't be beaten for over 10 years by Ferrari (it really upset them). Problem with this Little beast is handling. in the 80s Suspension was not as developed as today. So if you take a yellow bird today and give it modern Suspension and a DCT with wider Cup tires it could easily do 7:30 on the Ring.No idiot would do it though as the whole point of this classic car is to get Access to it and safeguard in the most original state. Best investment money can buy. Or can't buy as the lucky once who managed to get one will probably want to pass it on to their Kids. Impressive 0-200 time for 87'. Same as Nismo GT-R !!! Don't let the 8:05 'ring time fool you; if tested today it would probably do under 7:10.
yeah, as i said already? You meant 0-200 mph time, cause otherwise, yeah, that's sick, LOL. BTW, absolutely stunning vehicle. Even now it's a very serious rival for modern sportcars, not telling about 1987. What an amazing old car! If you are in the corner and have got no money to move out from that point, you will have to receive the personal loans. Because that will help you for sure. I take short term loan every single year and feel fine just because of this. Make your life time more simple take the loans and everything you require. I am sure that to reach 342 km / h on an old 911 you'll need at least 600 hp. Is the 959 in the test tuned? Because it writes 515 PS. @phavyarden Frogs instead of images? :D That's weird. I see all pictures. In any case - that's an issue with Imageshack not fastestlaps. 378km/h? You might want to stop reading Australian car mags buddy. If it's not yankee cars like ford or GM. No, no they are fine and will be published when I get to reviewing and validating. Those articles and videos you provided are rich with good, valid data. I added a 1 mile time for this car and for the Saleen S7 TT, it wasn\'t fine? @Big Al: the 469 hp are a much understated amount of horsepower. To make it street legal, RUF decided to give a figure below 500 hp. The cars that made it to the track test had much more power... easily more than the given 469 hp! 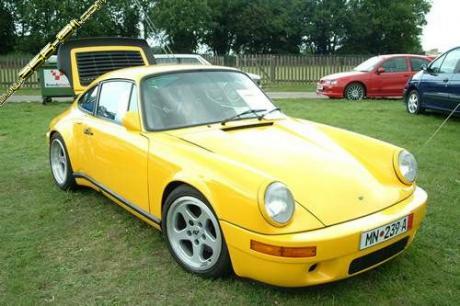 Ruf Yellowbird - last of the 29 made. Standing Mile 27.70 @ 189.11 MPH. This is my all time favourite car. One tested by Autocar in 2004 managed 0-100 in 6.71 secs and 200 MPH in 35 seconds. It was the last of the 29 ground up Yellowbirds and had carbon fibre, wings, bonnet and doors plus a six speed box - what a legendary car! !